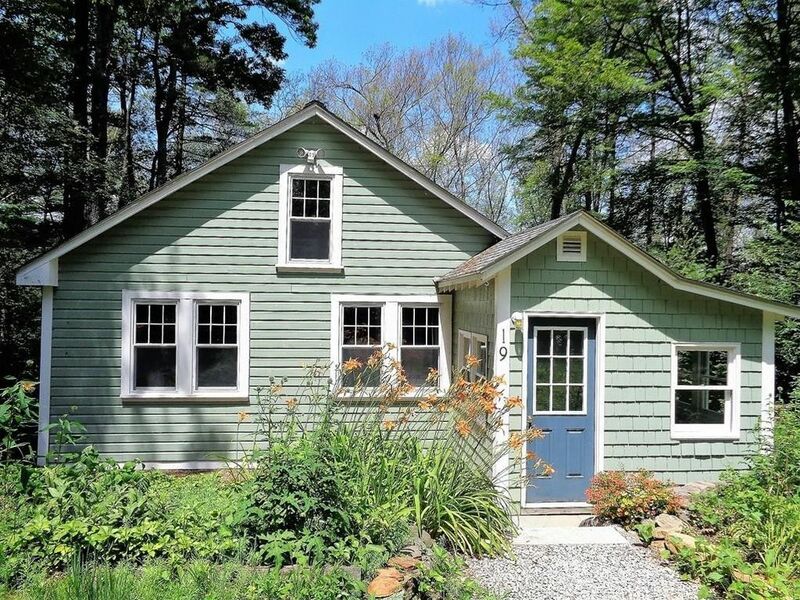 Super cute, year round cottage near desirable Little Alum Pond! Lovely, seasonal water view includes 2nd St residents private, waterfront deeded dock and swimming deck across the street. BRAND NEW 2 BEDROOM CONVENTIONAL SEPTIC AND DRILLED WELL! New kitchen and bath vinyl floor, new tub surround, new mudroom carpet, new oil tank, new screens and added insulation! Updated roof, furnace, most windows and freshly painted interior, even the woodstove and the washer and dryer are included. Quaint 2nd bedroom/office with vaulted ceiling and French doors. Sweet loft space with storage overlooking the dining room. Little Alum is a 73 acre pond on the Sturbridge line, close to Rt 84 & the MA Pike and near the Brimfield Bike Trail. A coveted fishing spot with public boat ramp, water skiing lessons available for the kids, leisurely boating & clear, spring fed water that's great for swimming, (no jet ski's allowed). This is the charming, turn key, lake house you've always dreamed of!! Directions: Rt 20 to Little Alum Rd to 2nd Street. END of 2nd St, green house on left, see sign.